It's now been more than a year since Peter Jackson's The Hobbit: The Battle of the Five Armies, but it's also been five years since he was supposed to have begun work on a sequel to Steven Spielberg's The Adventures of Tintin. However, the first film only made around $78M domestically and $370M worldwide, a disappointment by all accounts. 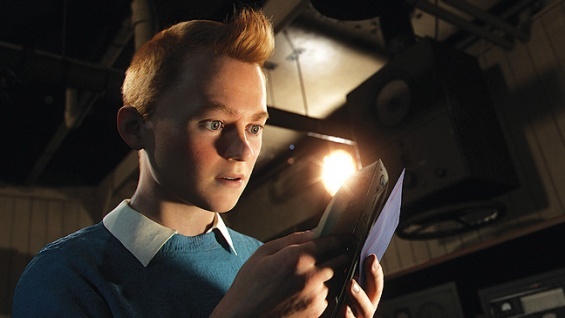 So Jackson turned his attention squarely on The Hobbit trilogy, but it seems Tintin hasn't been forgotten, and his collaboration with Spielberg has evolved to include something more mysterious. “Peter was so busy with ‘The Hobbit’ that it took him away from ‘Tintin’ and he’s doing another film for my company now. It’s a secret, nobody knows about it. Then after that he’ll do ‘Tintin,'." The 'Hobbit' movies were successful from a box office perspective but creatively they were a bit of a letdown. Jackson may want to try something of a smaller scale, maybe something like his earlier work Heavenly Creatures and The Frighteners. Personally I'd love for him to take up the reins of Spielberg's shelved Robopocalypse adaptation, but that's probably a stretch. And is anybody really clamoring for more 'Tintin' at this point? Probably not.